Following the special circumstances of Expong 2008, this years’ event was always going to be something of an anti-climax from some perspectives, however although it was quite a “light” show with regards to the number of layouts attending: just 15 out of a total of 66 stands, it cannot be disputed that the quality of the layouts that were on show was extremely high. But Expong is not simply about the number of narrow gauge layouts that are exhibited; it is the undisputed magnet for all the specialist traders that support this end of the model railway spectrum and for everyone who is either involved in or a supporter of narrow gauge railways, full size and model, to meet up for both a major social gathering and to empty wallets before the money gets wasted on the family Christmas shopping! I thoroughly enjoyed the day as I expected to and I would like to express my own appreciation to Hazel Brewer and her fellow Greenwich & District NG Society members for working so hard to both welcome arrivals on Friday night and Saturday morning and to maintain the hard work throughout the actual event to ensure that both participants and paying visitors enjoyed a splendidly organised and smooth running show. Recently I had a page published in 009 News that included photos of some of the traders who support the hobby rather than the models themselves. 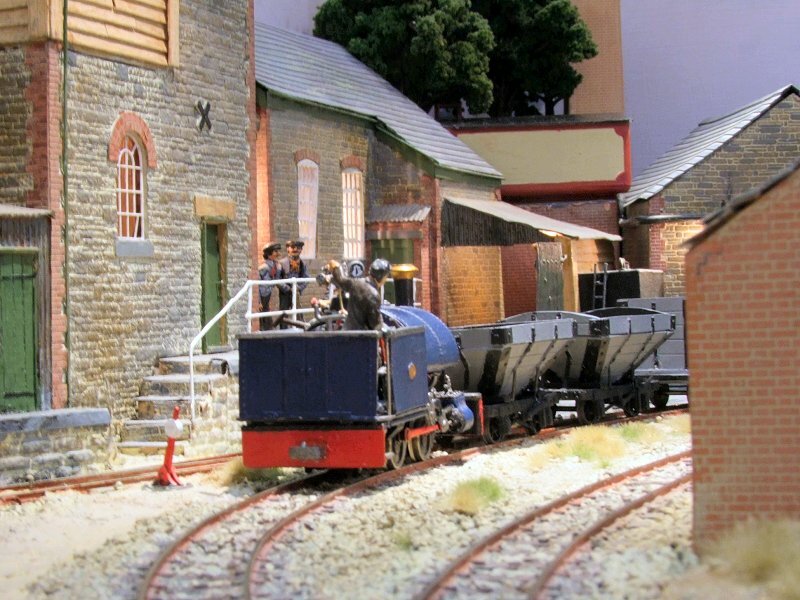 This proved to be very popular so I have kept to this theme for the start of this report and have featured as wide a selection as I could showing some of the personalities that support narrow gauge modelling, and because I know that some people like to put faces to names. I hope this proves as popular as the 009 News article was and I apologise if I have inadvertently omitted anyone who should have been included – please let me know and I will try to get you in the lens next time!